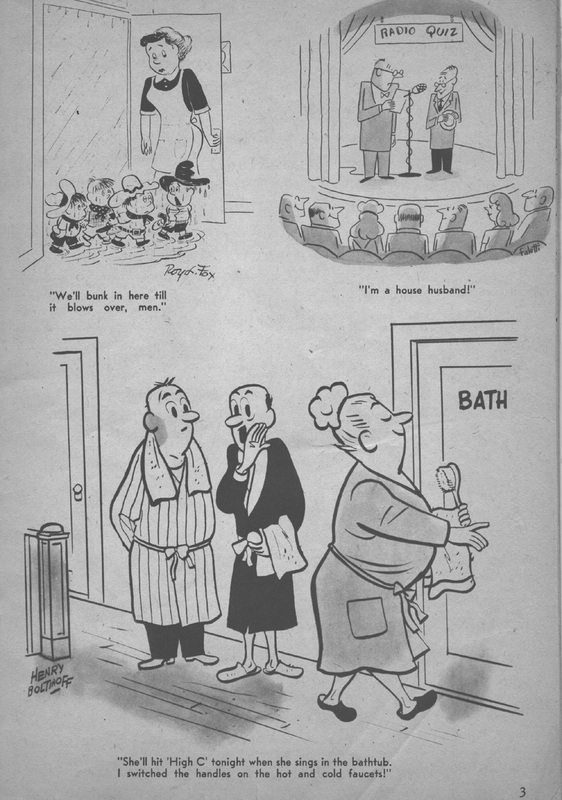 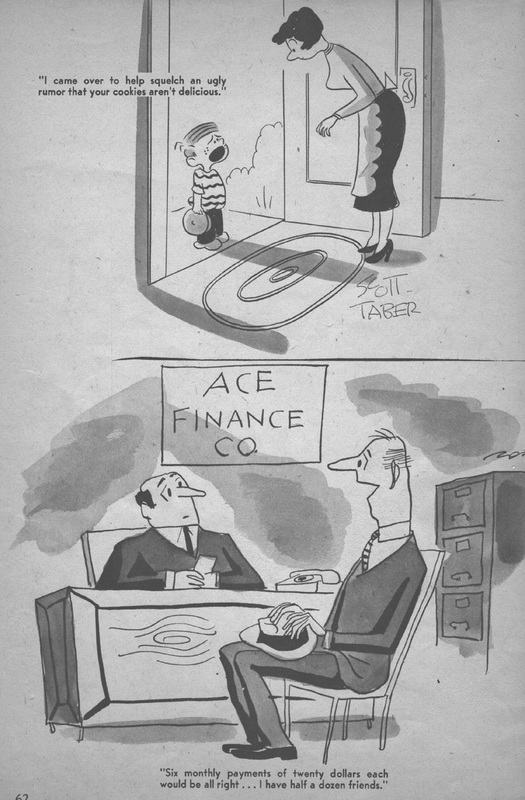 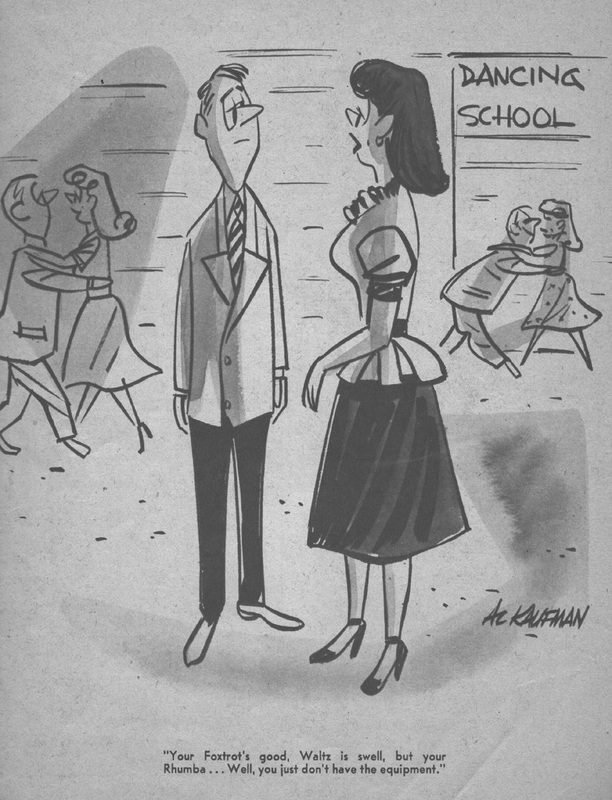 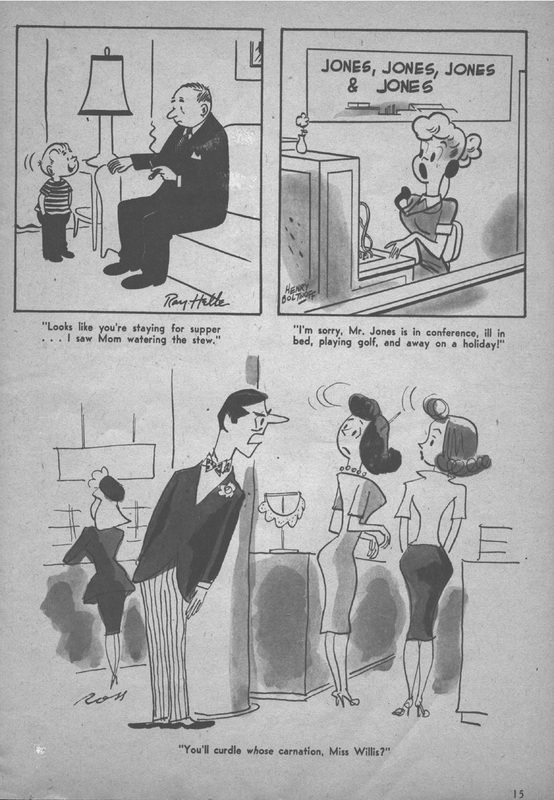 Old cartoons in this joke book are proof of the active market for single panel gags during the early 1950’s. 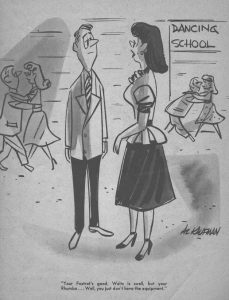 Over the years I’ve considered the 1970’s, 1980’s and the 1990’s as the “good times” for single panel gag cartooning but the genre was proliferating many many years earlier. 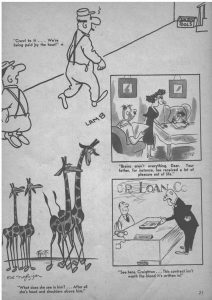 I’ve had some cartoon joke books I had used over the years for inspiration and used them to study the lines of those gag cartoonists whose work I enjoyed for so many years. 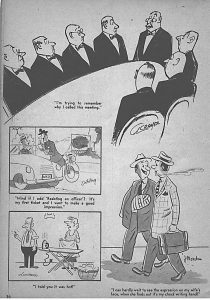 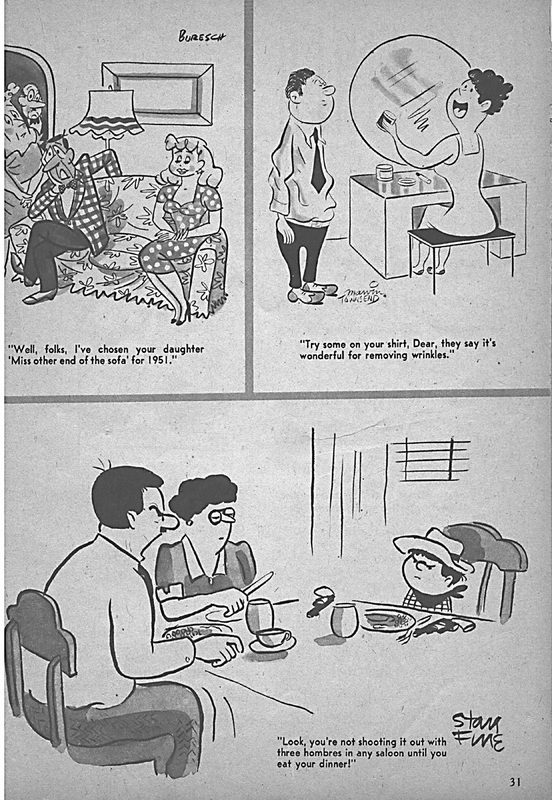 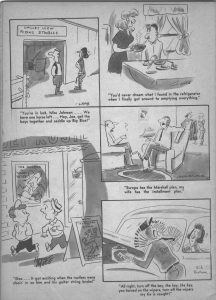 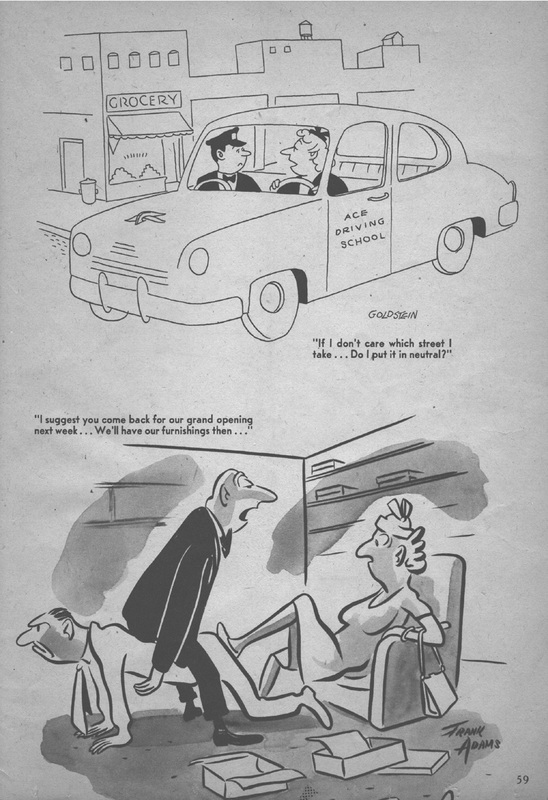 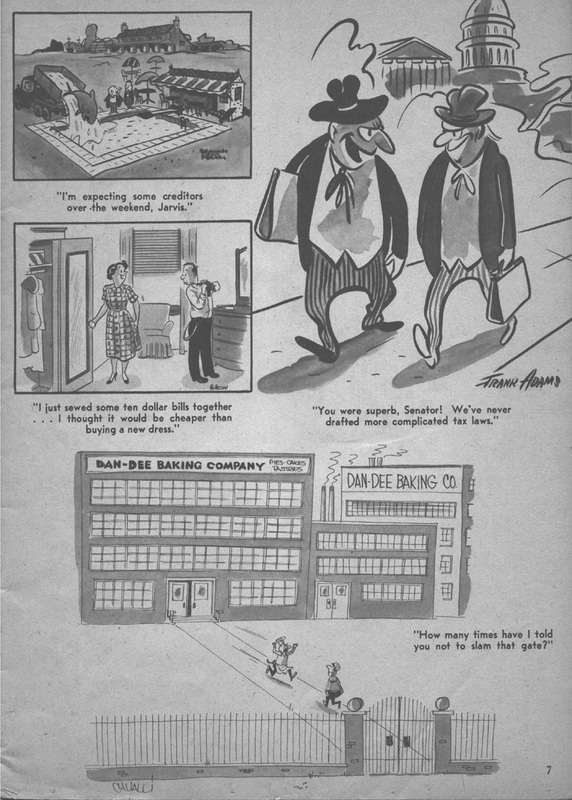 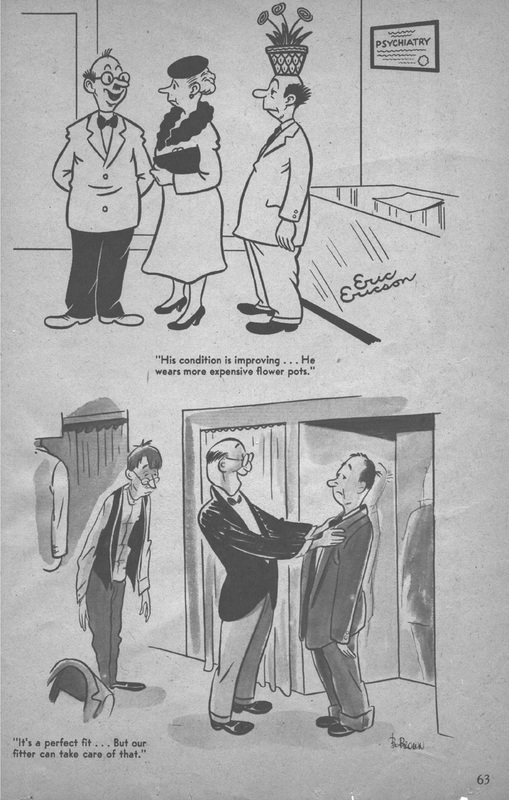 Names like Mort Walker, Bob Thaves, Reamer Keller, Henry Boltinoff and Jerry Marcus of Trudy fame were all very active in the gag cartooning business way back into the early 1950’s. 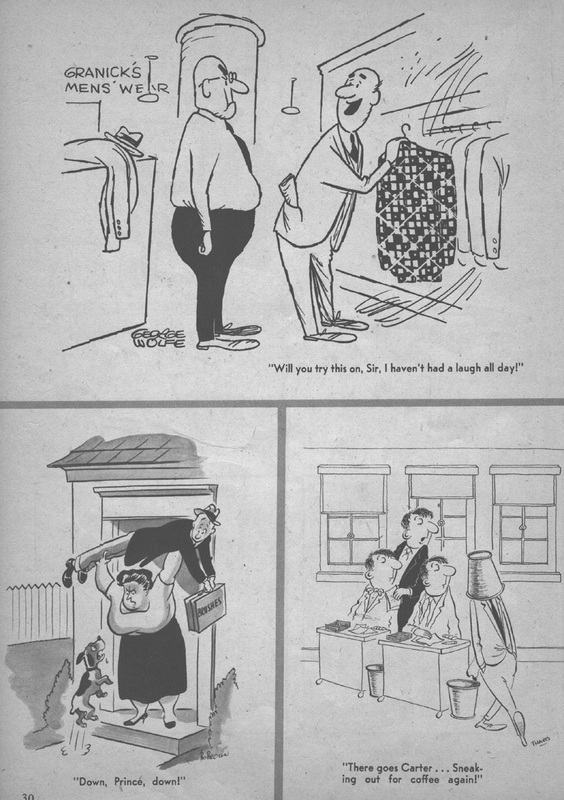 One of the books I have is a well worn and tattered collection simply entitled “Gags“. 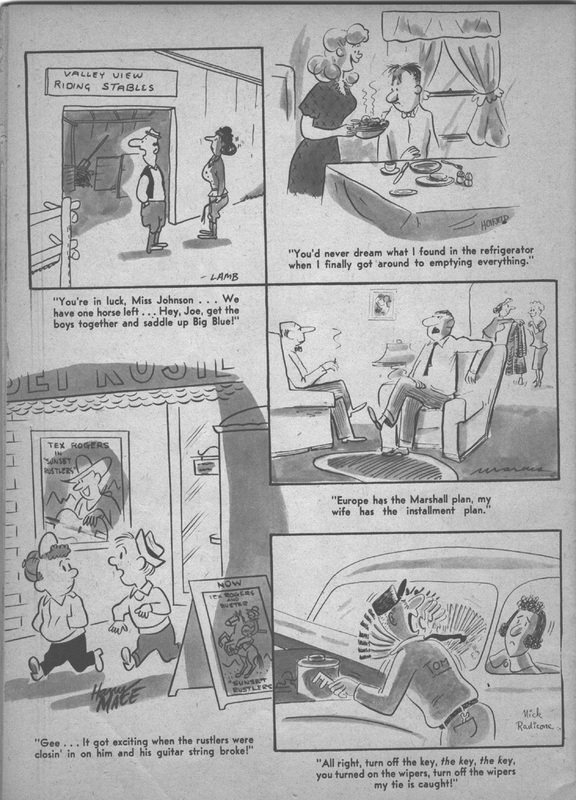 This particular issue dates back to 1951 with a total page number of 64 pages (well over an eighth of an inch thick) that’s printed on relatively heavy newspaper stock with glossy color cartoon on the front and two glossy black & white water color wash panels on the back page and saddle-stitched to make up a decent collection of cartoon material. 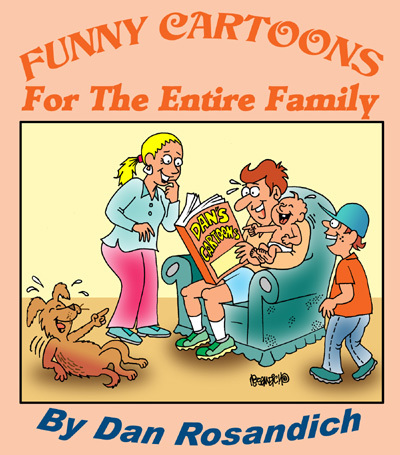 It sold for a whopping twenty five cents….well worth the money for someone with a sense of humor who is seeking a few laughs (actually alot of laughs). 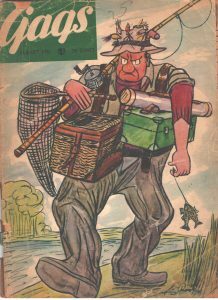 Many obscure names appear on alot of the artwork throughout this tome, such as Bob Dell, Bandel Linn, Lamb, G. Ludway, Frank Adams, Bill Harrison, Geo. 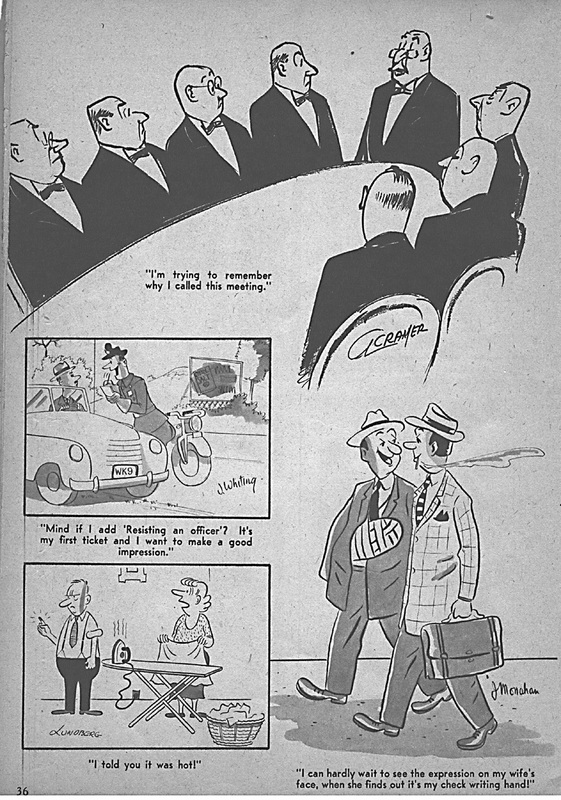 Reckas, Frank Ridgeway and Alv Sherman are a few of the other contributors. 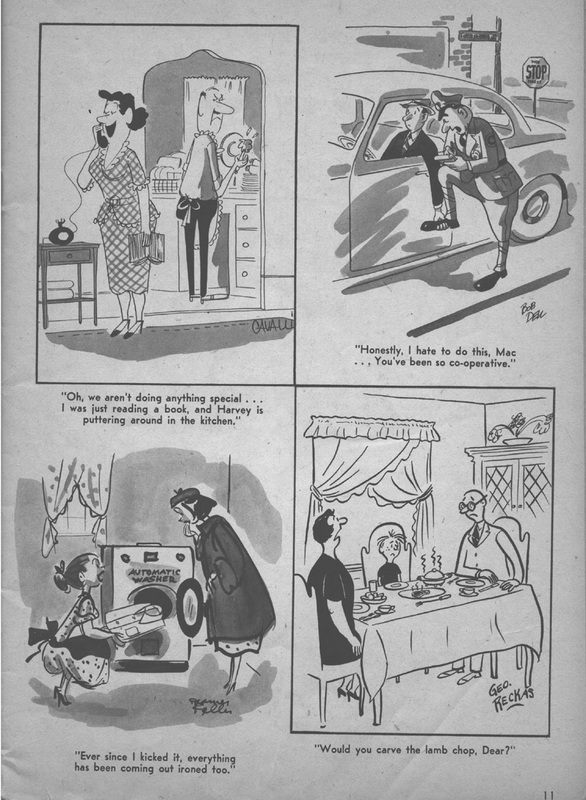 The drawing styles indicate an established feel and look as though they could have been previously published elsewhere, since the line work has good ink wash shading techniques added, others show an appreciation for incorporating perspective into the drawing style etc. 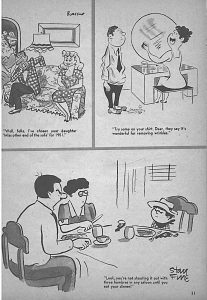 Although Bandel’s name is familiar, I wonder how long he was full time cartooning, because he was also a DJ and acted. 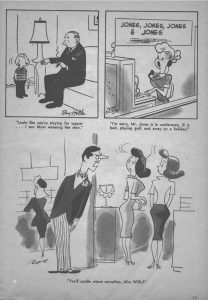 For the most part, I don’t think Bandel stuck with magazines for a lenthy period of time, although he was published in Colliers and many other big magazines of that era. 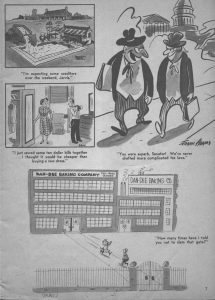 At a time when printing and paper expenses are at an all time high, including postage rates and distribution costs, the potential profits aren’t worth the investment for any publishers. 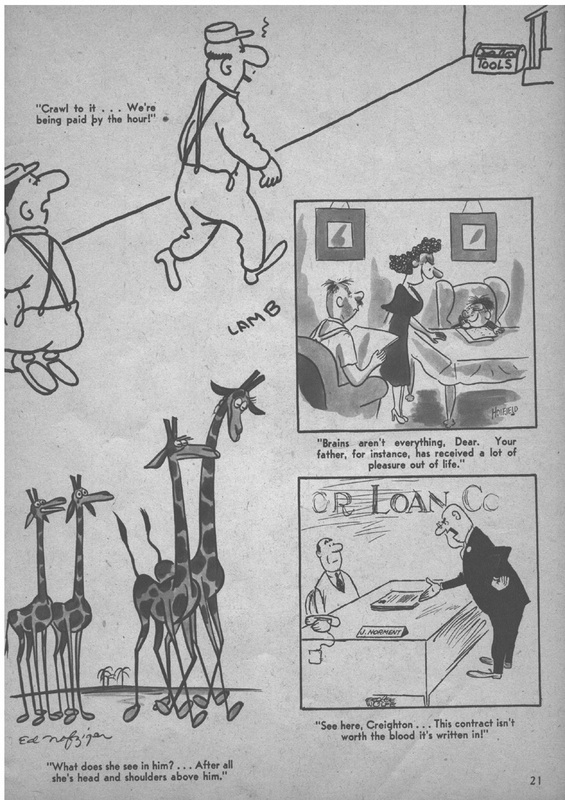 Other elements such as the web make it doubly difficult since so much “free” cartoon content is available. 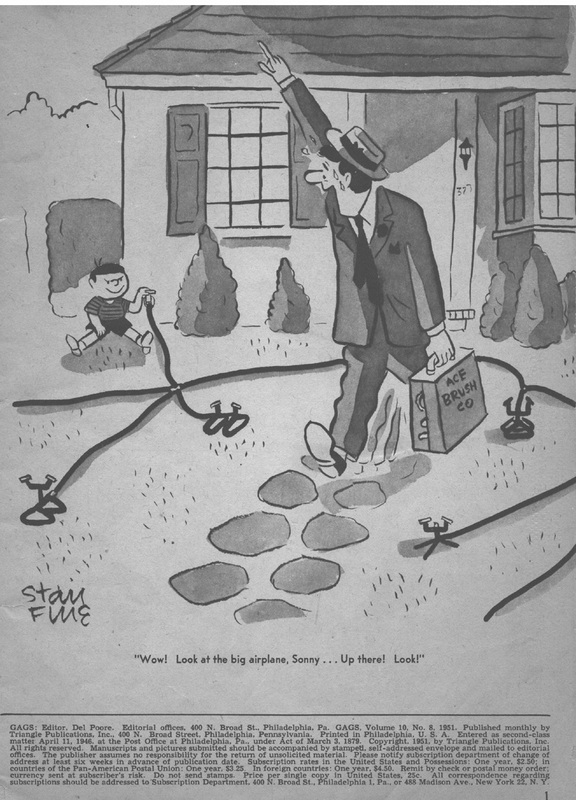 Many other names in this collection of single panel gags seem unfamiliar though, but the artwork is definitely top notch and reflective of a style the was developed over time. I think many of these contributors may have moved on to other areas of graphic design that they devoted to the robust publishing business of that time. 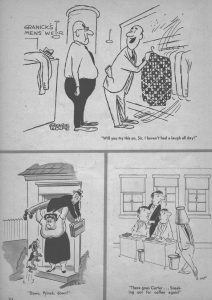 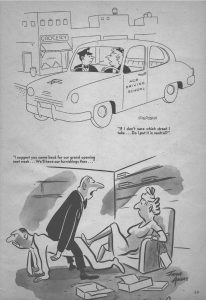 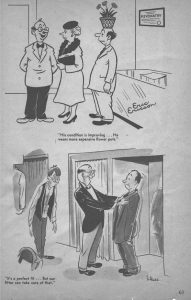 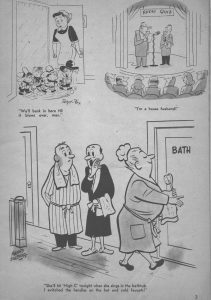 Take time out to look through the gallery of a few select pages to get an insight of the kinds of cartoons that were a popular part of the American gag panel cartoon scene.